This tiered table has shelves that are sized and spaced so that larger items rest on the bottom and middle levels, while smaller ones sit on the top shelf. The bottom shelf holds pots or planters up to 12 Inches in diameter and 17 Inches high. The middle shelf holds planters up to 12 Inches in diameter and 11 Inches high, while the top shelf accommodates planters up to 8 Inches in diameter. 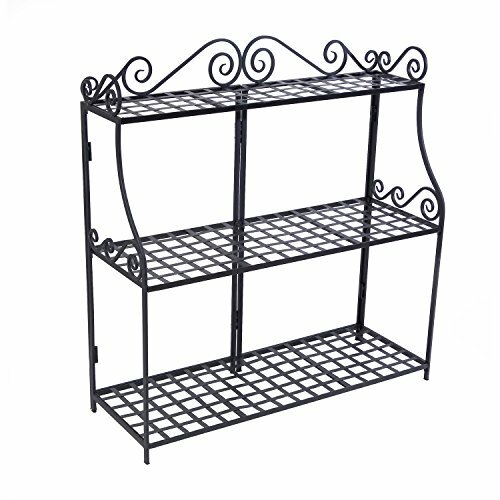 The latticework shelves are offset by scrollwork on the frame, which adds a delicate touch to the item.